Come join other iLead families to help children in our very own communities, who are in need! We will meet at Wilson Park in Torrance for a canned food drive for Community’s Child’s Healthy Bags Program. The food collected will be for students in South Bay elementary schools who have been identified as food-insecure. These families typically do not have enough food to feed their families over the weekend. We will also gather together to make simple care packages for the children who live at Community’s Child (a shelter for homeless women and their children). 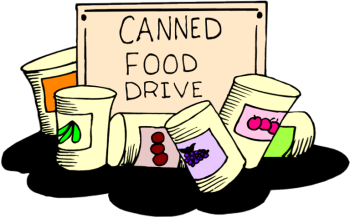 Please refer to this link to see the suggested food items to donate. https://drive.google.com/file/d/1m5dMf0LZAbyaD7LzW0KH-NuRDzWC4Gon/view?usp=sharing. It’s best to park at the east parking lot, off Washington Ave. We will be meeting at the east side of the park, at the picnic tables.